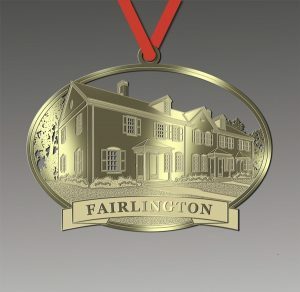 The FCA and Fairlington Historical Society (FHS) are taking orders for this special brass-plated ornament to commemorate Fairlington’s 75th anniversary in 2018. Place your order below using PayPal or a credit card. Pick up your order at the Fairlington Villages Management Office, 3001 S. Abingdon St., during operating hours.